Frederic leads the due diligence and vetting processes behind each investment opportunity considered for SharpVue’s real estate strategy. In this role, Frederic employs his extensive experience in real estate investment to develop market studies, perform financial and risk analyses, create business plans, and apply qualitative analyses that drive investment selection. 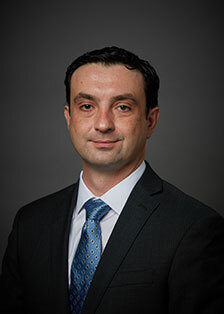 Prior to SharpVue, Frederic was a Managing Director of Ironshore Capital, a consultant at Mesirow Financial Consulting, and a software engineer at Teradyne, Inc.